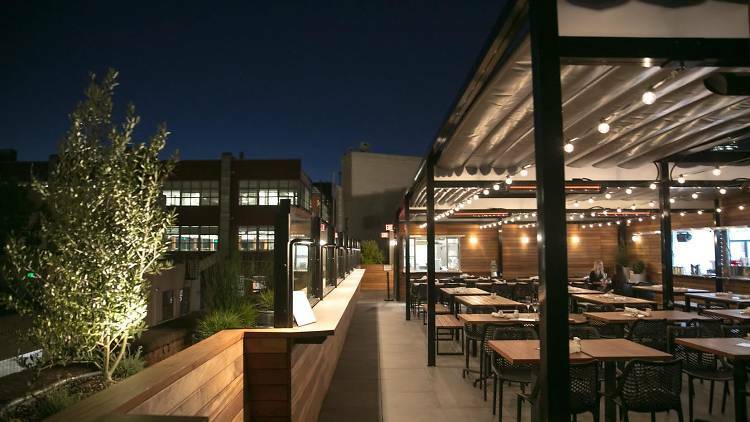 Two new rooftop bars, one in SF and one in downtown Napa, have quietly opened—now all we need are those warm summer nights. With a striking, three-floor layout in a 1917 brick-timber warehouse, Twenty Five Lusk has always been a draw for chef Matthew Dolan’s international cooking (sturgeon schnitzel, anyone?) and a cocktail from drink pioneer Daniel Hyatt, who mans the lounge bar downstairs. Now they’re elevating their game with Rooftop 25. Mini-olive trees nestle under a canopy of heat lamps at this west-facing (read: sunset-viewing) deck. It’s open daily from 11:30am-8pm, and the team plans to add flat screen TVs soon for game days. A playful menu offers boozy slushies (we love the Spicy Passionfruit Margarita), bottled piña coladas and wood-fired pizzas like the Pizza #2, loaded with bratwurst sausage, fennel, shaved apple and oregano. 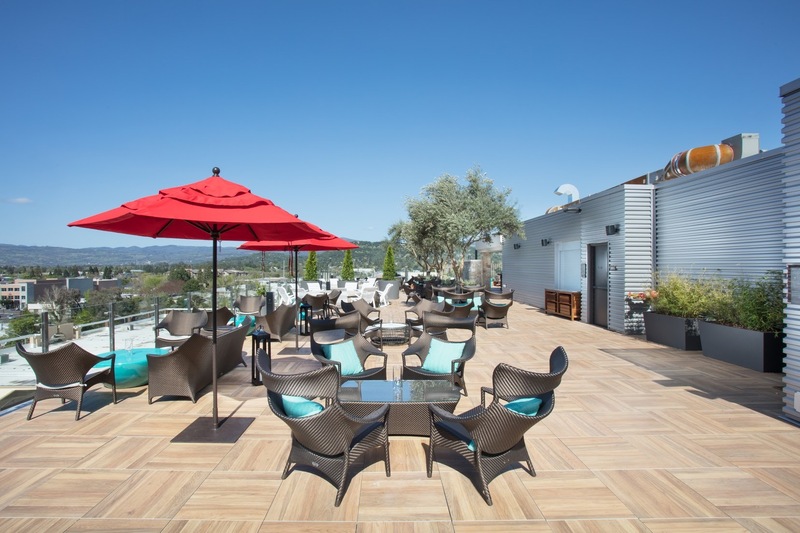 World has spread quickly about downtown Napa’s only rooftop bar, Sky & Vine at the chic new Archer Hotel. With sweeping views of downtown Napa, cradled by the mountains on either side, this is surely Napa’s new hotspot. There are fire pits, all-day food, a giant Jenga set, red umbrellas, a covered restaurant section and an olive tree surrounded by couches and chairs. While we have yet to try executive chef Jeffrey Russell’s rooftop food, downstairs, Charlie Palmer Steak is a top-notch steakhouse and restaurant. Ray Guzman and Joel Pfeifle’s cocktails delight, whether it’s the rum-beer-passionfruit-based Novela or the Wilson, a St. George Pear Brandy cocktail with lemon and creamy coconut. It’s dry and aromatic with green tea, kaffir lime and fino sherry.